Mark's Tickets is the best place to find tickets for Cincinnati Bengals fans. Just check this page for any new events or schedule updates throughout the year. We sell tickets to every Cincinnati Bengals game around the world. We know how passionate Cincinnati Bengals fans can be about football, so we make sure to have hundreds of tickets for every game available right up until it starts. For those looking for cheap Cincinnati Bengals tickets, we offer tickets starting at very low prices (many times below face value). We offer tickets in most sections of every venue that you can see Cincinnati Bengals. Simply choose the city or venue that you are interested in below, and you will be able to see all of the available seats. Do not forget that Marks Tickets also specializes in sold out Cincinnati Bengals tickets. No longer will sold out shows prevent you from seeing Cincinnati Bengals. The Cincinnati Bengals are a professional football team that plays in the NFL. The Bengals play their home games at Paul Brown Stadium in Cincinnati, Ohio. With 16 games per year, and 8 being home games, The Cincinnati Bengals are a professional American football franchise based in Cincinnati, Ohio. They are currently members of the North Division of the American Football Conference (AFC) of the National Football League (NFL). Their home stadium is Paul Brown Stadium in downtown Cincinnati. Their current head coach is Marvin Lewis. Their primary colors are orange and black. Their chief rivals are the Baltimore Ravens, Cleveland Browns and Pittsburgh Steelers. The Bengals were founded in 1966 as a member of the American Football League (AFL) by former Cleveland Browns head coach Paul Brown. Brown was the Bengals' head coach from their inception to 1975. After being dismissed as the Browns' head coach by Art Modell (who had purchased majority interest in the team in 1961) in January 1963, Brown had shown interest in establishing another NFL franchise in Ohio and looked at both Cincinnati and Columbus. He ultimately chose the former when a deal between the city, Hamilton County, and Major League Baseball's Cincinnati Reds (who were seeking a replacement for the obsolete Crosley Field) was struck that resulted in an agreement to build a multipurpose stadium which could host both baseball and football games. Due to the impending merger of the American Football League and the National Football League, which was due to take full effect in the 1970 season, Brown agreed to join the AFL as its tenth and final franchise. The Bengals, like most other former AFL teams, were assigned to the AFC following the merger. The Bengals won AFC championships in 1981 and 1988, but lost Super Bowls XVI and XXIII to the San Francisco 49ers. After Paul Brown's death in 1991, controlling interest in the team was inherited by his son, Mike Brown. In 2011, Brown purchased shares of the team owned by the estate of co-founder Austin Knowlton and is now the majority owner of the Bengals franchise. The 1990s and the 2000s were a period of great struggle. 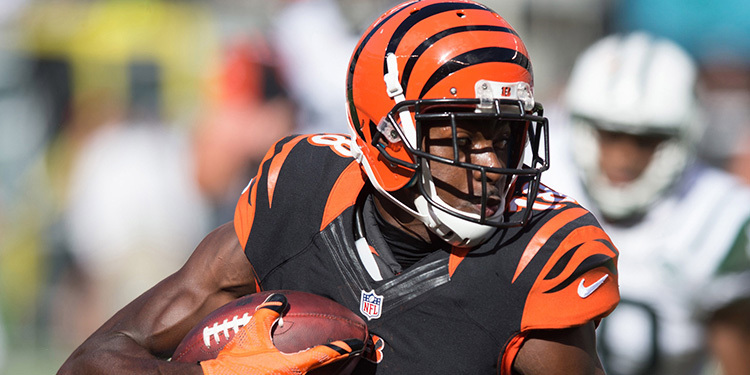 The Bengals had several head coaches and several of their top draft picks did not pan out. Mike Brown, the team's de facto general manager, was rated as among the worst team owners in American professional sports Compounding matters were off-field problems of several players, notably receiver Chris Henry, who was suspended several times during his short professional career and was actually released by the Bengals at one point, but was then re-signed for the 2009 season.